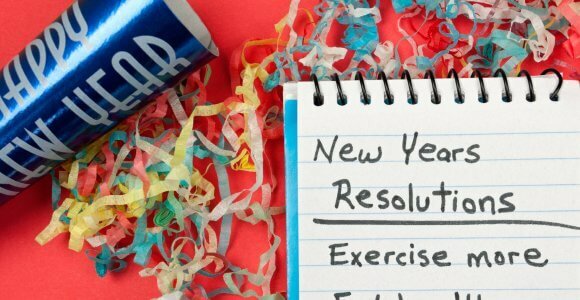 Keep up the exercise after the resolution rush fades! That’s the New Year’s message from The Guyer Institute and Synergy Spa. The most difficult part with resolutions regarding fitness is the steady work required to stay in shape. Here are a few newer and more interesting workout regimens or programs that could work for you in early 2018. Many are available in metro Indy! Or: create your own version for you and your workout friends to keep up the exercise. Always consult with a physician prior to starting a new fitness regimen. Trapezing: You get your own silk – a strong nylon blend – which hangs from an anchor a bit like a trapeze. Lift yourself into various positions and movements to build strength and increase flexibility. Do the Derby: Roller Skating workout emphasizing skating positions and routines to build strength and increase aerobic fitness. Hop To It: It’s called Kangoo. You get boots like inline skates, but with springs on the bottom. When you jump and land, it strengthens your core and quads while reducing the impact on your joints. Personal Trampolining: The term Skyrobics has been coined for this fun workout. There’s a method to the “madness” that will get your heart racing. In addition, there are supplements we carry at The Guyer Institute’s Supplement Store that help boost energy and make your body run more efficiently. SynerG: a multivitamin/antioxidant. When exercising, it’s vital to give your body access to all the vitamins and minerals needed. Magnesium – helps your electrolytes stay balanced. Can reduce the risk of muscle spasms. CoQ10 – decreases recovery time after strenuous exercise. Ask our knowledgeable staff at The Guyer Institute about supplements that make the most sense for you. Keep up the exercise this January and beyond. Help your body perform at its peak!